Since its inception in 1992 Hotel Nisarga has established an enviable reputation for refreshing hospitality, and personalized service. Its prime location & excellent business services make Hotel Nisarga the favorite among business travelers: A Home & Office away from Home & Office. 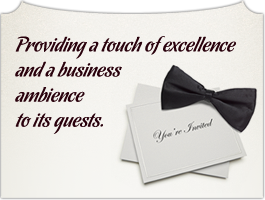 Singularly committed to provide a touch of excellence & business ambience to its guests.